Clay’s Shaelyn Vassar checks the sign down at third base. Minford’s Darius Jordan, who was named as an All-State selection last week in the Division III realm, was one of three Minford players to obtain First-Team SOC II honors. Wheelersburg’s Boo Sturgill waits for a pitch to arrive at the plate. Over the course of its history, the game of baseball and softball has long been revered in the landscape that is Scioto County. And if 2018 were any indication, the competitiveness, along with the young talent that is waiting in the wings, will certainly keep the sport in that kind of manner amongst its faithful. In all, 64 individuals from the Scioto County landscape obtained All-SOC accolades, with three of those players — Darius Jordan, Cole Dyer, and Tanner Kimbler — earning player of the year honors and an additional three hands, including Dakota Dodds, Julia Swain, and Faith Brown, collecting pitcher of the year accolades. Clay’s Jason Gearheart and Marc Cottle, along with Minford’s Aaron Hopper and Valley’s Montie Spriggs, allowed the SOC to sweep the proceedings as far as the coach of the year marks were concerned. In the baseball ranks, the newly crowned SOC II Champions (24-3), who won their first SOC title outright since 1978, put electrifying center field product Darius Jordan and the steady, dependable, and college future-type baseball talents of Luke Lindamood and Ethan Lauder on the first unit — with the former starring behind the plate and the latter showing off his impressive abilities at pitcher and third base in doing so. Fellow pitching hand and right fielder Elijah Vogelsong-Lewis, along with leadoff hitter and left fielder Brayden Davis, rounded out the honorees for the Falcons, who arguably sported the fastest outfield in the entire Southeast District with Davis, Jordan, and Vogelsong-Lewis at its disposal. The dependable play of infielder Hunter Berry (first team) and outfielder Will Gillette (second team) were critical to the development of the Mohawks, who finished 1-13 in conference play but will return all but four players from this past season’s unit. A young South Webster squad, who also finished 1-13 overall in conference action, put pitchers Billy Jones and Daniel Allard on the first and second teams, respectively. Every player on the South Webster unit will be back in 2019. The Indians, who won 14 of their final 19 contests en route to making a thrilling run to the Division III, Region 11 Semifinals, were led by pitching and center fielding dynamo Tanner Cunningham on the first team. Cunningham, who batted third in the order, was followed by Jake Ashkettle, who earned second team honors as a shortstop. The Senators, who finished fourth in the SOC II race, also put two players on the unit as Garrett Hurd’s plus-.440 average put the junior middle infielder on the first team unit, while senior pitching hand and fellow middle infielder Drew Cassidy reached the second team list. Michael Estep’s unit, who obtained a runner-up finish in the SOC II standings, put four players on the all-conference list as ace pitcher and middle infielder Trey Carter, along with middle-of-the-order slugger and third baseman Cole Dyer, collected first team honors, while fellow middle-of-the-order hand Xander Carmichael, along with Connor Mullins, a middle infielder, obtained second team accolades. Dyer shared player of the year honors with Jordan behind his 15-homer campaign. Behind their fantastic seasons, the Lady Falcons’ Zoe Doll and Brittani Wolfenbarker, two primo sluggers in the middle of the order, obtained first team accolades, while the play of Minford’s Hannah Tolle and Kiersten Hale allowed the duo to obtain second team showings on the SOC II list. Hale, Tolle, and Wolfenbarker will all return to next year’s Minford unit. For the Lady Mohawks, Laiken Rice obtained first team honors for Darrell Keller’s club as an ace pitcher, while Addi Newman added in second team accolades behind her blistering hot pace at the top of the Northwest order. They’ll both be back for a program that is continuing to add promising young pieces to the table. 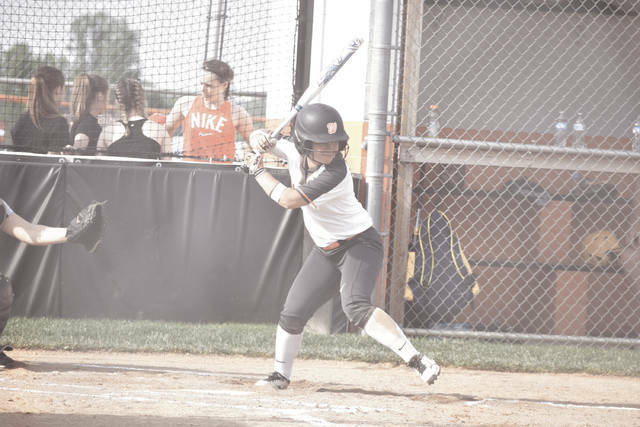 Ace pitcher Gwen Messer, who is only a freshman, along with standout slugger Baylee Cox, each made the first and second teams, respectively, for a South Webster unit that could be the most improved team in the conference in 2019 with both players back for their sophomore and junior seasons, respectively. The Lady Indians, who joined their baseball counterparts in making a deep run to the Division III, Region 11 Semifinals, were led by Faith Brown, who won Pitcher of the Year honors after throwing every pitch in every inning of every game for Valley. Brown, a middle of the order standout, was joined by leadoff hitter and fellow SSU signee Margaret Caldwell on the first team, while Marissa Markins and Kirbi Sommers added second team honors behind their efforts in the infield and at the top of the order. As far as the Lady Senators’ program was concerned, Dani Coleman’s unit was able to put emerging slugger Sammy Tatman on the first team, while Shawnee State signee MaKayla White’s second team honors allowed all four of the SOC II hands that SSU signed to make the list. Teresa Ruby’s group, who finished 24-1 overall in 2018 and obtained a regional berth at the Division III, Region 11 realm for the fifth consecutive year, were led by freshman phenom Boo Sturgill, while fellow middle infielder and freshman hand Laney Eller also contributed with a big punch of her own in addition to Christen Risner, a blazing-fast center fielder who led off the Lady Pirates’ batting lineup in 2018. Senior stronghold Mia Darnell, who caught pitching mainstay Sydney Spence throughout the course of the 2018 season, made the list alongside Spence, a rapidly developing pitcher who shouldered most of the pitching load during the year. Eller, Risner, Spence, and Sturgill all return to head up what looks to be yet another state-contending group. Arguably one of, if not the most surprising unit of the 2018 season, Clay put three underclassmen and a senior on the All-SOC list as Dakota Dodds, the unit’s top pitching hand, and Keith Cottle, a do-it-all centerfielder who logged innings on the hill and hit for an average, led the way for the Panthers on the first team unit — with Dodds obtaining Pitcher of the Year honors. Steady infielding hand Reece Whitley, along with the impressive poise of Clay Cottle, were also vital for Clay and a major reason why the duo ended up on the second team. Do-it-all talents Brayden Queen and Tyler Winston, who served as the team’s most dependable pitchers and as strongholds at the top of the order, led the Tartans in 2018, with Queen obtaining first team honors and Winston notching second team accolades. Star pitching hands Tanner Kimbler, Tayte Carver, and Bryce Ponn, who also double as infielders who are plenty effective, all obtained first team accolades, with Kimbler nearly obtaining a ridiculous 20-to-1 strikeout-to-walk ratio. The former hit over .550 en route to SOC I Player of the Year honors while the latter pair hit well over .400 for the season. Rylee Maynard, who committed just four errors in four seasons as a starting infielder, and Hayden Whitis, a dependable first baseman who added a strong presence toward the bottom of the Green order, rounded out the lineup. 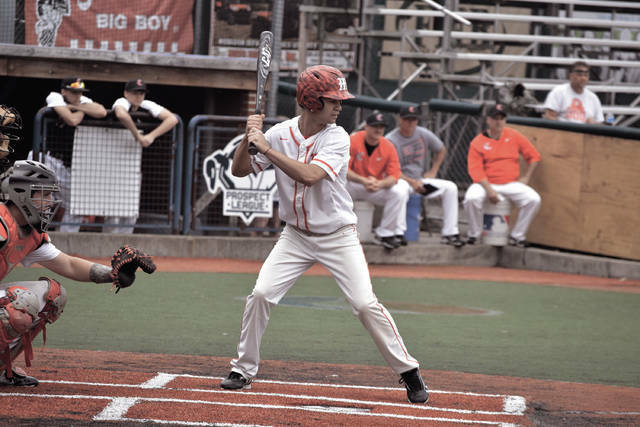 The senior leadership that CJ Corns and Tyler Speas brought to the table proved to be huge all season long for the Titans in its development into a unit that ultimately played Clay to two one-run ballgames. Corns, the team’s ace pitcher, garnered top billing with his first team accolades, while Speas, a three-hole hitter, notched second team accolades with his plate discipline and ability to drive pitches. The Lady Panthers, who finished eighth in the final OHSFSCA Coaches Poll of the year, led the SOC I by putting five players on the list, including the exceptional talents of third baseman and top-of-the-lineup hitter Shaelyn Vassar and co-aces Julia Swain and Hannah Oliver, who starred in the circle while adding a powerful presence to the bottom of Clay’s order en route to first team accolades. 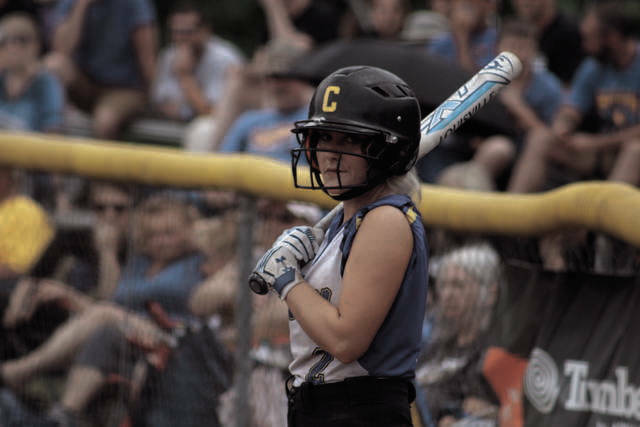 Catching stronghold Cassidy Wells, along with young freshman sensation Megan Bazler, earned second team honors and add to a promising group that only loses Swain and, by all indications, will be among the top contenders for a Division IV state title in 2019. Scott Perdas’ group was led by Victoria Fannin (first team) and Ali Escamilla, who were consistent presences at the plate with their bats in 2018. Ace pitcher Ava Jenkins, who shouldered most of the pitching responsibilities and starred at the shortstop and leadoff hitting positions, respectively, garnered first team billing, while Kerston Sparks, who shouldered a hot bat throughout much of the 2018 campaign, obtained second team honors for the Lady ‘Cats. Brian Holbrook’s unit, which finished 7-7 in SOC I action in 2018, was led by the efforts of pitching hand Taylen Hickman, who logged most of the innings for the Lady Tigers during the year and notched first team honors as a result. Sammy Oiler, who caught fire with the bat during the latter half of the 2018 campaign, obtained second team accolades. The Lady Titans, who were expected to be in a rebuild mode after losing five seniors, surpassed all expectations that were set from them as Notre Dame got monstrous campaigns from ace pitcher and three-hole hitter Cassie Schaefer and first baseman/four-hole hitter Claire Dettwiller, who obtained first team honors. Notre Dame’s Isabel Cassidy, an electrifying speedster on the basepaths, and Molly Hoover, a dependable shortstop who was solid as a rock at the leadoff position in the offensive batting order, rounded out J.D. McKenzie’s honorees with second team billing.